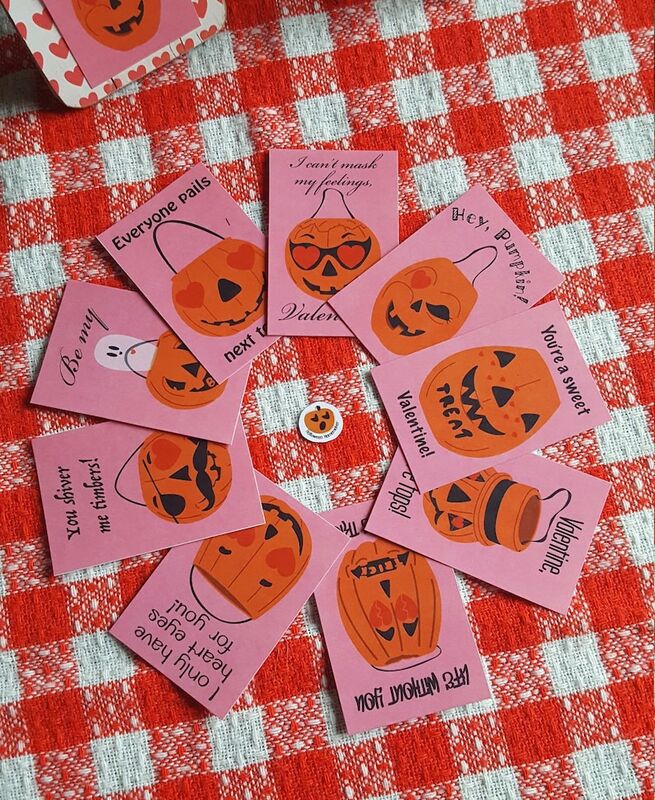 Whether you spell it Valloween, Valoween, or plain old Valentine's Day, these mini cards featuring trick or treat pails are perfect for that spooky person in your life! This is an instant download to print yourself. (Order from computer for easiest download accessibility!) There are 9 different designs and each card is 2"x3". They all print together on a standard 8"x10" sheet of paper. I recommend a nice white cardstock for optimum color and sturdiness. You can print these out at home or send them to a printing place, but they are for personal use only, please. I retain all rights to the artwork and they may not be altered or reproduced for sale in any form. Pictured are some suggestions for use if cutting them out and giving them away isn't enough to spark joy. I whipped up some fancy folded cards using them as the main embellishments. They also fit in nifty mini clipboards and snow globe picture holders! The possibilities are endless with a little imagination and a stack of craft supplies! Files are gorgeous and printed beautifully!